In 2011, Man Up and Go began a partnership with Pastor Andrew and Juliet Wakabi, founders of Home Again Ministries. Working among the displaced Karamajong tribe in the highly impoverished area of Masese III (Jinja, Uganda), Home Again Ministries and Man Up and Go provide both “triage and prevention” to the many vulnerable people living in this community. Bethel Junior School now enrolls 252 students (ages 3-12) who receive a Christian education and nutritious meal each day, many of whom are sponsored by Man Up’s child sponsorship program. Between the Super Saturday Feeding Program (over 1000 children fed each week), the vocational training program for women, and the Authentic Masculinity Men’s Program, Man Up and Home Again are partnering to advance the Kingdom in Masese III – we are already seeing Less Orphans, More Families, as a result! In 2012, Man Up and Go came alongside Pastor Samuel and Mercy Mwesigwa of Kerith Ministries, in the Pallisa District (eastern rural Uganda). An overflow of River of God Church, planted by Pastor Samuel in 2008, Kerith Children’s Home was birthed to minister to Pallisa’s most vulnerable children. Man Up and Go runs a sponsorship program for the 30 children at Kerith, which allows them to eat consistent, nutritious meals, have a place to live, and provides them with a quality, Christian education. A health centre, agriculture and farming programs, and a second school followed the children’s home, all of which Man Up has had in starting. 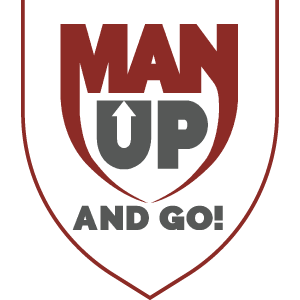 After several years of Men’s Conferences, Man Up partnered with Pastor Sam to launch the Authentic Masculinity Program, focusing intentionally on the discipleship of men as well as their economic development through micro-loans and ongoing business consulting. We believe this long-term investment will yield Less Orphans, More Families, as the men learn to follow Jesus, provide for, and protect their families. In 2012, Man Up and Go partnered with Pastor George and Silvia Kooli of Ebenezer Children’s Ministry. With 87 children living at Ebenezer Children’s Home and over 300 children at Ebenezer Primary School, many of whom are HIV positive, George and Silvia are truly ministering to some of the world’s most vulnerable. Located in Kibuku District in rural eastern Uganda, Ebenezer is a light to the community. Man Up provides material support as needs arise, conducts men’s conferences, supports the women’s initiatives of the Suubi Center, and the ongoing needs of the children (from medicine to clothes to school fees). Additionally, Man Up partners with Pastor George to run the Authentic Masculinity Program. The program develops men spiritually and economically, aiming to change the paradigm of a community ravaged by patriarchal abuses, superstition, HIV, witchcraft, and a lack of male leadership. In 2016, Man Up and Go traveled to the Dominican Republic and connected with Pastor Kendar and Hozanna Robles, founders of Centro Cristiano de Capacitación y Ayuda Infantil (Christian Center of Children’s Help and Formation for CECCAI for short). Pastor Kendar also shepherds Iglesia Bautista Getsemani (Gethsemane Baptist Church). Working in the “basurero,” or trash-dump, in Santo Domingo with extremely vulnerable people, Man Up is facilitating child sponsorship for the 30 children at the pre-school and Kindergarden where they receive a quality Christian education as well as six meals throughout the week. In January 2018, Man Up launched Phase 1 of the Authentic Masculinity Program, focusing on the men of Los Tres Brazos in Santo Domingo. In a community steeped in pain and misery, Kendar and Hozanna are a light in the darkness working to provide hope in a hopeless community, and over time, Less Orphans, More Families. Man Up and Go was first introduced to Henok Berhanu on our inaugural trip to Ethiopia in 2011. Since then, Henok started his own NGO, Carry 117, which empowers women from Korah, a trash dump on the outskirts of Addis Ababa (Ethiopia). This trash dump, started as a leper colony in the 1930’s, is home to over 130,000 of the nation’s most poor and vulnerable. Henok, who grew up in a single-mother household, provides vocational training skills in bag-making, purses, wallets, and other accessories to women who used to make a living on the trash dump. Man Up works alongside Carry 117 to empower these ladies economically and model authentic masculinity in our interactions with them. We’re currently working on a long-term partnership to bring the Authentic Masculinity program to this area of Korah under the leadership of Henok and his team.